Assistant Commissioner Peter Guiness and Acting Metropolitan Superintendent Fred Kaiwa received our petition onMonday for the immediate capture of the people involved in the killing of youngButibam villager Moses Walo at the weekend. We will support our men and women in law enforcement to uphold the law, and we will work with the Police and our systems of Government to rid the city of criminals who prey on the innocent. We will pursue justice relentlessly. We will no longer accept lawlessness and disorder in our city from anyone. When someone's actions harm any of our people, we will remove them from our land. If anyone supports, assists, aids or promotes any agenda against our people we will remove them, and their interests from our land. 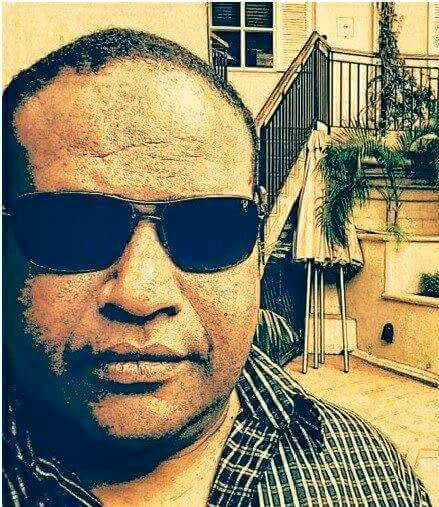 Any business involved in any agenda against any Morobeans will be removed from our land and we will make sure they never set up in Lae again. Large scale, small scale, PMV, hire car, retail shop, security, anyone who assists, supports, or contributes to the oppression of any Morobean will be removed from our city and land. Anyone who leaves their province or homeland to come and live in Lae must do so in a lawful and orderly manner. We will indiscriminately remove anyone from our land who fails to live in accordance within the confines of good law-and-order. What people do or how they live in their province is their affair. When anyone comes to Morobe Province, they have to live in a peaceful, lawful, and orderly manner. Understand this: If anyone touches our people, there will be consequences. Especially our women and children. Touch them or harm them and we will rise up. Our committee has collectively decided against the protest march because there were too many considerations. Crowd control, opportunists inciting riots, and the safety of people and business houses and Government property. There were a large number of people willing to participate in the protest who came from the six Ahi villages: Butibam, Hengali Kamkumung, Yalu, Wagang and Yanga. Our brothers from Bumbu and Biwat, Talair and Asu, Back Road, Menyamya, Finschafen, Kabwum, Markham and other Morobeen ethnic groups. Many people wanted the march to happen, but we had to consider the safety of the city first. I thank my tribesmen from the six Ahi villages, our business people, our fellow Morobeans for their support. We will continue to work together to promote a good, safe and harmonious society. We will not rest until justice is done.